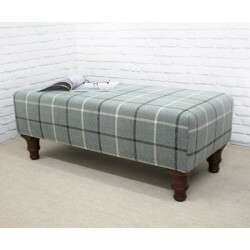 A bench stool is a rectangular footstool that comes in a range of shapes and sizes, from short and fat, to long and thin. 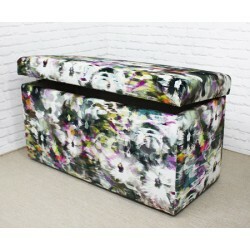 Our Storage Bench Stool is perfect to keep your room or hallway tidy - shoes, books, toys, all the things you need at hand but can clutter your home. Bench stools are very versatile and ideal for a hallway, cloakroom, conservatory, in front of a sofa, in the centre of a room or near a window to act as a window seat. In a hallway or cloakroom, a bench stool can be very practical as they provide a well needed perch to take off those painful shoes / muddy wellies / big boots - and will give you a better chance of getting your children's shoes off before they whirlwind around the house! A popular choice for a bench stool is for use near a window as a window seat, or in a conservatory as often these can be smaller or awkward spaces. 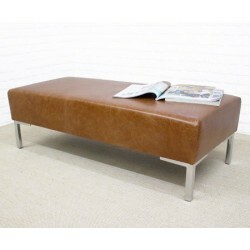 A bench stool can still offer some comfortable seating, whilst not taking up the space of a sofa. The shape of a bench stool lends itself perfectly for extra seating at parties, and can even be used at a dining table. That's why we ensure all our bench stools are extremely strong and can happily take the weight of several merry adults. Once the parties, dinner parties and family get togethers have finished you can use your bench stool to put your feet up, and there will even be room for two. One of our most popular Bench stools is the deep-buttoned bench stool. With the choice of buttons, coloured buttons or glass Swarovski buttons this can create a beautiful focal point in any room. Luxury, style, storage - the choice is yours. 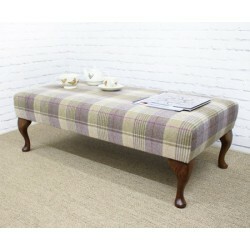 If you would like a custom made bench stool please Contact us to discuss your ideas of for a quote. 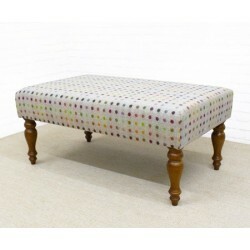 All our footstools are built using hardwood, glued & screwed and come with a 2 year construction guarantee. 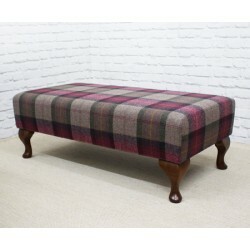 We wrap our footstools with quality foam and the finest fabrics and leathers, all fire retardant & upholstered to perfection we've had 50 years practice!